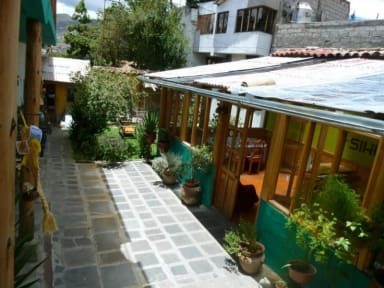 Hospedaje Casa Sihuar is on the Street Tandapata # 351 – San Blas. In automobile the time of transfer from the airport to our hotel is 20 minutes.Close to our guesthouse there are the streets Siete Angelitos and Carmen alto, just 4 minutes walking. On these streets you can find restaurants, pizzerias, cafes, markets , pharmacies , craft shops and tourist bars. In Plaza de San Blas just 6 minutes from our hotel you can find an ATM. Our rooms have all the amenities for a pleasant stay. 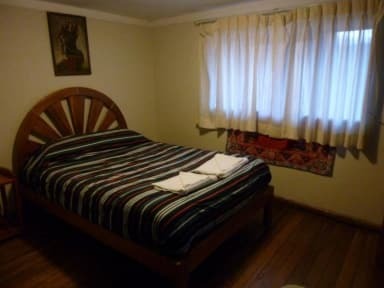 All our rooms have private bathroom, hot water in shower and sink, cable TV, free WiFi and includes breakfast.